A few weeks ago I got a very strange text message from one of my daughters. She wanted me to tell her what color was the dress in a picture she was sending me; Maybe you know the picture and the dress I’m talking about. 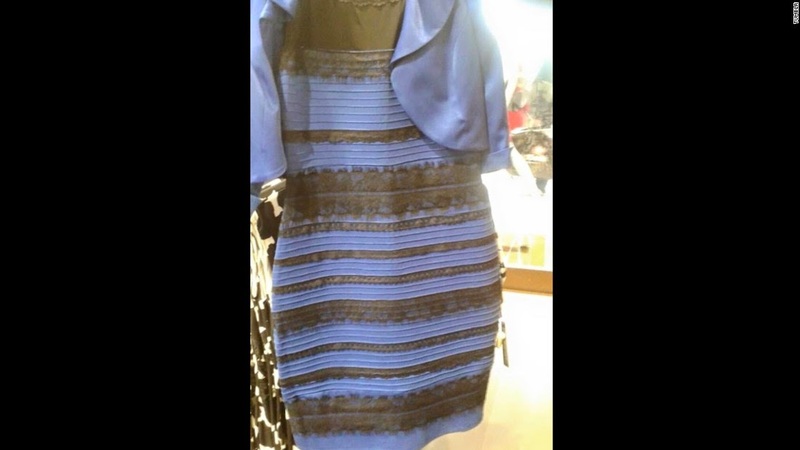 … and perhaps your own family like mine spend a couple of days arguing about “It is white and Gold...No it is Blue and black!”. The thing is...Regardless of what color this dress was, every one who saw it saw something completely different although they were all looking at the same picture of the same dress. Just now as we do every year, we heard the passion story as it was told by the Gospel of St Mark. I would venture to say that, today, like when that white and gold and blue and black dress almost break the Internet, each one of us heard a different story. For some this was the same long, boring story we have to endure every Palm Sunday. For others this story brought to mind images from the many movies they have seem about the passion of our Lord. Perhaps; others, when they heard these words, might have remembered images of long gone Palm Sundays, from a time in which Churches presented Passion Plays with real Romans costumes and a real Cross. Regardless of what was our reaction to this long reading, today I would like to issue a challenge to all of you: Do you think you are brave and strong enough to, during this Holy week, especially during Holy Thursday, Good Friday, Holy Saturday and Easter Sunday, to voluntarily forget all those tired images we recycle every year, and really pay attention to what will be happening these days? How about if we make a effort, this year to really enter into this story with all of our senses, all of our mind, all of our heart? Starting today lets really make an effort to hear the readings, to smell the incense, to see the fire in the candles and tapers, to really taste the wine and the bread. Let us make a conscientious effort to live these days like Jesus and the apostles lived then. Who knows, maybe we will discover new meanings for the institution of the Eucharist on Holy Thursday, for Jesus death on the Cross Holy Friday, for the new birth of baptism by those joining the Christian Church on Holy Saturday, for Jesus resurrection on Easter morning. If there is one thing that, sometimes white and gold, sometimes blue and black, dress proved is that usually we settle for the first thing our senses perceive and end up seen what we want to see. How about if this week we force ourselves not to settle, and make an effort to discover the true meaning of Holy Week? Again I challenge you… are you strong enough?